The following is my First Place award from the competition. 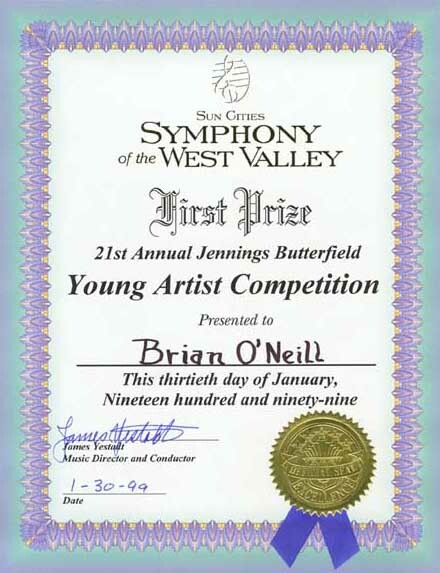 Underneath the award is an excerpt from the concert’s program in which I performed as a vibraphone soloist. This was the first time a percussionist won this competition in its 21-year history.